Lice... scabies... fungal infections... It's enough to make your skin crawl. Living with these skin conditions can be traumatising for all involved. 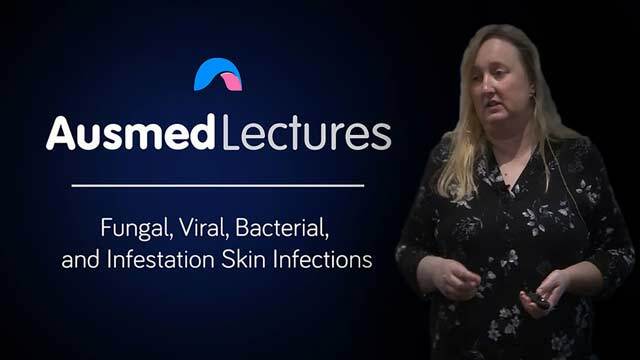 This frank and informative talk from Leanne Boase will have you squirming in your seat as you discover the details of some of the most common skin conditions and how to treat them. A forensic focus, but applicable to all healthcare professionals managing those with the potential for skin problems. Leanne Boase is a Nurse Practitioner with a background in critical care and paediatrics. She currently practices across three GP clinics in Melbourne. She has also built, owned, and operated her own GP practice and is now a director of the Prime Medical Property Group, developing and building properties in the health sector. Leanne also does business planning and is the author of "Medical Business Management", aimed at assisting health professionals to start their own businesses. Leanne is the current president and a fellow of the Australian College of Nurse Practitioners. She works as a casual academic. Her qualifications include a master of nursing (nurse practitioner) and a master of health science (education). The course was very informative .